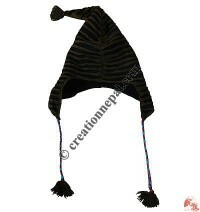 We offer hundreds of hats/caps: woolen watch caps, ear hats in various patterns with rich designs mostly with warm polar fleece lining and some without fleece lining. 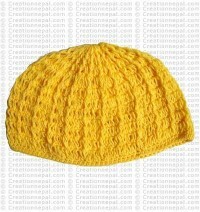 Besides woolen hats Creation Nepal also sells cotton round hats, Nepalese hemp and cotton mixed caps, Nepali recycled silk and recycled cotton caps as well. 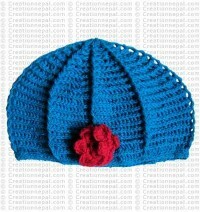 Warm and beautiful hand knitting caps available at Creation Nepal ! 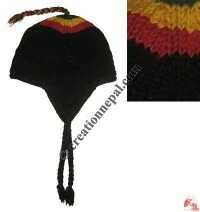 Creation Nepal has given different names of its hats such as woolen cable watch cap, Flower patch woolen hat, 2x2 knit colorful flap watch cap, Gheri cotton frills hat, codraise patch work hat, braided colorful flap watch cap, animal design Pom-Pom watch cap, cotton-fleece hand emb. 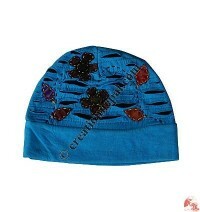 cap, double tail cotton-fleece cap, funny woolen ear hat etc. 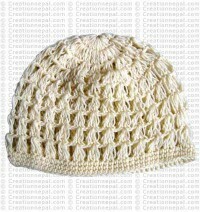 More varieties of Nepalese crochet woolen face cap, razor-cut patch work cotton hat, hemp-cotton stripes cap, woolen net design watch cap, woolen crochet tail cap, woolen rainbow flower tail cap, woolen square shape hat, woolen animal pattern hat, angry bird woolen hat, elephant design woolen ear hats are unique and beautiful ones. 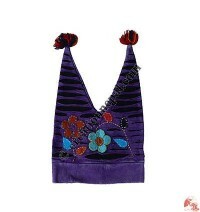 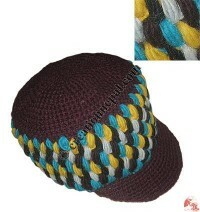 Similarly crochet ear flap woolen hat, crochet woolen cap, crochet flower patch woolen cap, braided woolen plain cap, woolen flower-net bowl cap, RASTA color cotton hat, patch-work design woolen ear hat, woolen mohawk hat, assorted woolen hat, mixed color woolen ear hat, colorful decorated woolen ear hat, woolen ear warmer, woolen long hat, hemp and cotton mixed hat, woolen roll hat, ear hat etc. 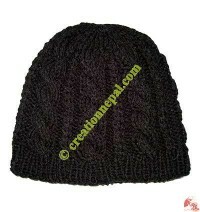 all hand made in Nepal with global standard. 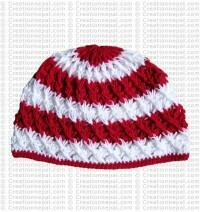 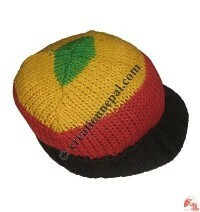 Looking for custom design and color Nepal woolen hats? 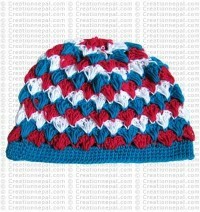 If you are looking to make your own design and own colors, Creation Nepal is here to help you out. 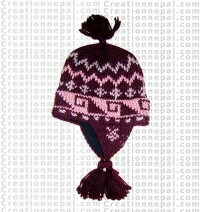 Let us know for woolen cap, Creation Nepal works for Custom Made Hats Nepal, as a custom made hats manufacturers and suppliers, we work on custom made color woolen hats, woolen caps, 100% woolen winter hats, handmade woolen hats, Nepal made woolen hats as per your requirement. 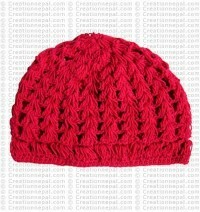 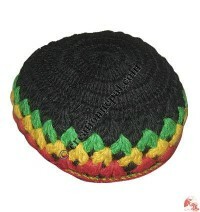 At present we have more than 45 colors available for our Nepal woolen hats, Nepal woolen ear caps. 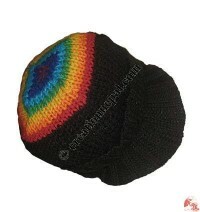 interested buyers can request color-chart in email for custom colors.